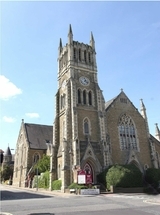 There are nearby car parks and pay and display street parking. Please phone us for advice. Please phone if you require an emergency appointment. Currently online booking with Hardev Seehra via this website is only applicable if you are a new patient to the practice wishing to book a routine private examination appointment. To do so press the button below and follow the instructions. Please note a £48 deposit will need to be paid securely to allow the appointment to be reserved. If you are an existing patient of Hardev Seehra and wish to book an examination online you will receive a unique booking link with your recall reminder message which will enable you to do so. Hardev Seehra graduated from University of Guy’s King’s and St Thomas’s and joined Aldershot Dental Centre in 2004. He continued further postgraduate education to achieve his MJDF and Certificate for Medical Education. GDC registered 83707. He has a conservative approach to his dental work using up to date adhesive technology to provide high aesthetics with minimal tooth preparation. Examples can be seen under the treatments section above. Hardev is pleased to offer Six Month Smiles treatment to help align and straighten teeth with Level 1 and level 2 training (L1 & L2). He has over 11 years of broad experience and skills including sedation. 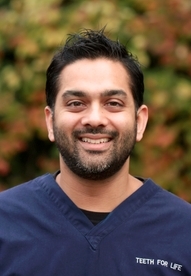 With six years experience as a Dental Trainer Hardev is exposed to using new techniques and equipment to provide high quality dental care.